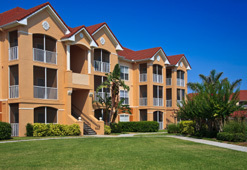 If you are the owner of a condominium property, you have the right to appeal the assessment for your property. Often, if one unit in a development is over-assessed, then other units are likely over-assessed as well. It is common for owners to hire me as a group. This allows us to handle the appeal at a lower cost for each owner, and the cost of an appraisal can be shared. Thus if we are successful, more of the savings is passed to the owner. If you would like to discuss an appeal for your unit, or if you would like to discuss a group appeal please do not hesitate to call or email my office. If I accept your case, I will perform the legal work personally. Your matter will NOT be given to an associate who lacks experience in the courtroom. I will work together with you to choose the best legal strategy to win your court case. Please click here to visit my New Jersey Property Tax Appeal Calculator to see if your property is OVER-ASSESSED.